Show the world you love someone with Autism by proudly using this Autism Awareness Mug. 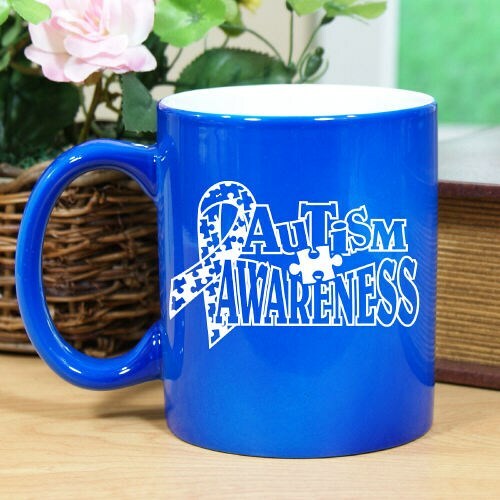 Show your support in every way possible each time you use Autism Awareness Products like this Awareness Coffee Mug. Choose between one of our 6 mug color choices and proudly turn this Ceramic Mug into the Autism Awareness Keepsake you love. Each Awareness Mug holds 11oz. of your favorite drink and becomes an instant support gift you can enjoy each and every day.